To learn more about our work with the communities of Baltimore City, check out the news stories, pictures, and progress updates below. And if you know about a story or news article that we missed, please Contact Us. This Community Safety Awareness Seminar, Taught By “Strider And “Taps”, On July 22nd 2017, Was A Fun Experience For All Involved. Strider And His Twin Brother Taps Were Originally Angels In Baltimore In Th 1980’s And The Experience That They Gained Over Those Years Helps To Shape The Protocols And Regulations Used By The Baltimore Chapter Today. The Training In Mc Eldery Taught Not Only Personal Safty But Also Patrol Safety And Awareness To Participants, Most Of Whom Are Interested In Starting Citizens Patrols In Their Own Neighborhoods. For More Information On The Baltimore Guardian Angel Safety Seminars, Or Citizens Patros, Contact The Baltimore Chapter Today. 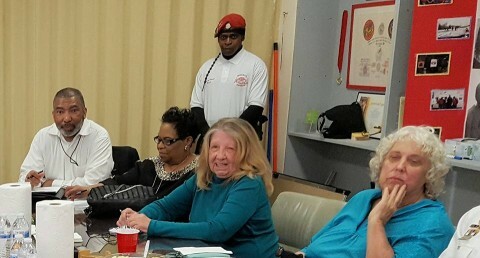 The Baltimore Guardian Angels Attended The Yale Heights Community Association Meeting In Southwest Baltimore To Provide Information About Starting A Neighborhood Safty Walk as well as other methods of Crime Deterrence available to regular citizens who truly want to take back their streets. 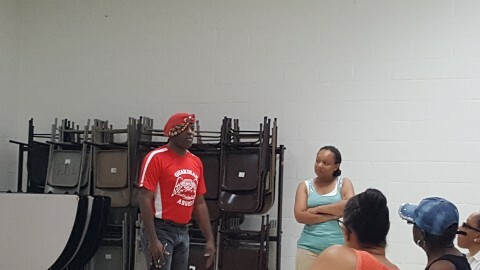 Above: Marcus "Strider" Dent speaks, as Leslie Carter, President of the Yale Heights Community Association, Looks On. 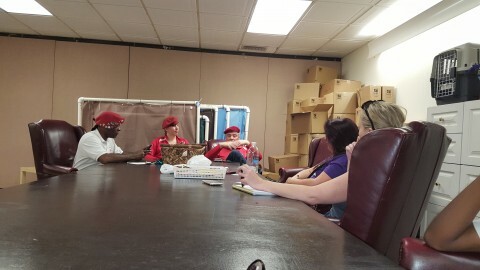 Curtis Sliwa, Guardian Angels Founder, Along With The Creator Of The Guardian Angels Animal Protection Program, Nancy Regula, Visited Baltimore On July 8th 2017 To Promote And Expand A New Guardian Angel Program Which Has Received Much Positive Attention In New York City. The Community Cat Program, Which Builds Cat Colonies Within Communities, Not Only Serves As Shelter For The Cats, But Also Helps With Rat Infestation In Neighborhood Which Otherwise Are Over Run By Rats. 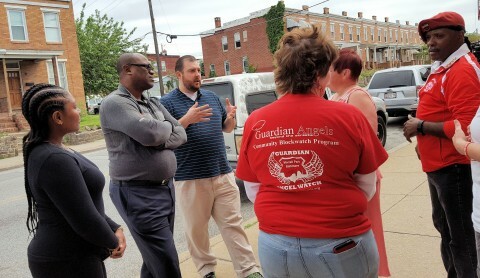 he Group Met With The Management Team Of BARCS, The Baltimore Animal Rescue And Care Shelter, To Talk About Expanding The Guardian Angel Program Into Some Of The Much Needed Areas Of Baltimore City. 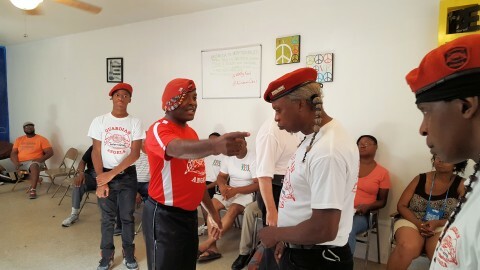 While In Baltimore, Curtis Also Visited The Cherry Hill Neighborhood In South Baltimore, Where Ms. Cleo Walker Was Presented With A Certificate For Her Outstanding Work Within The Community By The Guardian Angel Founder Himself. Much Thanks To Ms. Cleo Walker For The Dedication And Support She Has Shown Her Community And The Guardian Angels Over The Years. 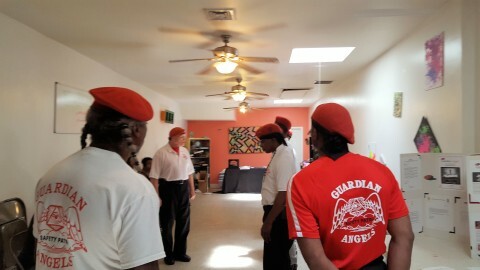 As Guardian Angels, one of our favorite things during the warmer months is attending community events. 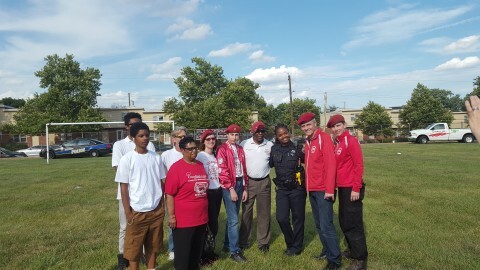 The Baltimore Guardian Angels participated in a Community Cookout in the Irvington Community of Southwest Baltimore. 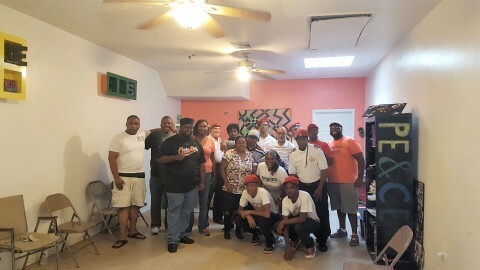 The event brought together residents of Irvington with representativesof various organizations and agencies to provide resources to those in need of services, including jobs placement services, and religious institutions, and the Baltimore City Police Department. 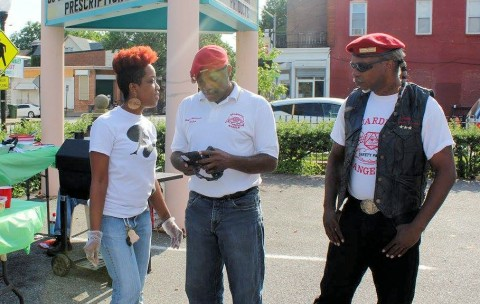 The Guardian Angels Saw Some "Old Friends", Like Baltimore Native and Community Activist, Ellen Gee, Pictured below with Marcus "Strider" Dent and Angelo "Taps" Dent. 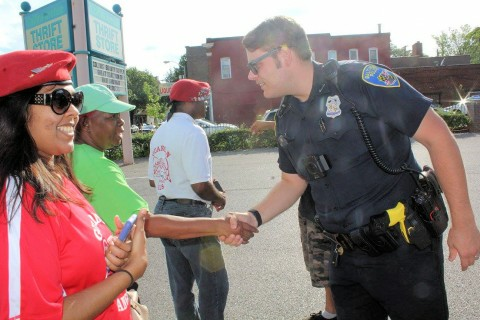 And We Made Some "New Friends"including Officer Valis of the Baltimore City Police Department. Special Thanks to Irvington Community Association President, Dorothy Cunningham, pictured below, for inviting the Angels to attend this event. 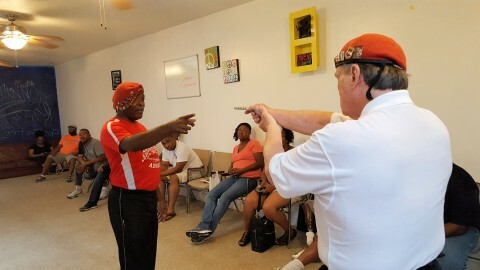 The Baltimore Gaurdian Angels are Proud to Participate in Community Events such as this that Promote a Better, Brighter Tomorrow for Baltimore. 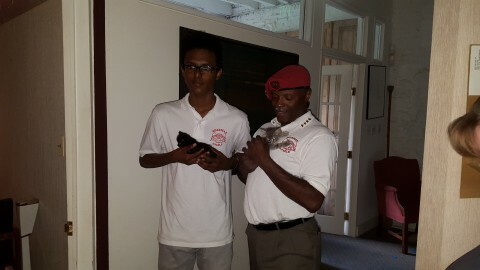 For More Information on the Baltimore Guardian Angels, Contact Us Today. 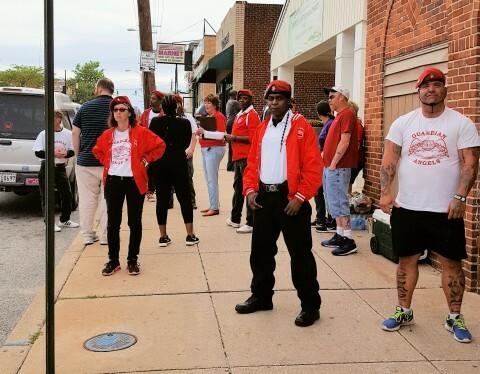 The Baltimore Guardian Angels alongside The Morrell Park Guardian Angel Block Watch Group and fellow residents of Southwest Baltimore’s Morrell Park Community, had a Public Safety Walk. 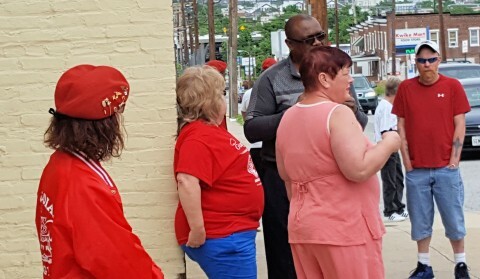 The Group Hosts a Monthly Walk to help deter crime and build a stronger community by promoting interaction between residents, businesses, local agencies and community leaders. 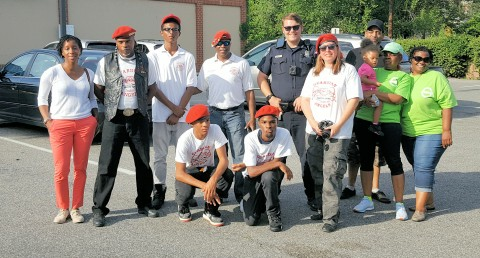 For More Information, or to Start a Walk in your Community, Contact the Baltimore Guardian Angels Today! 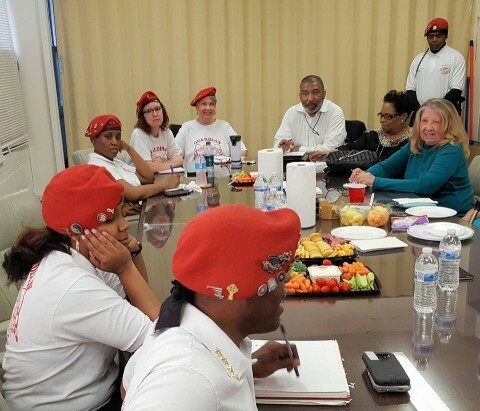 ​​The Regional Directors of the Baltimore Guardian Angels and the Top Cops of the Baltimore City police commanders met at Angel Headquarters to discuss how to empower the community & police relations and activities in the Southern District. 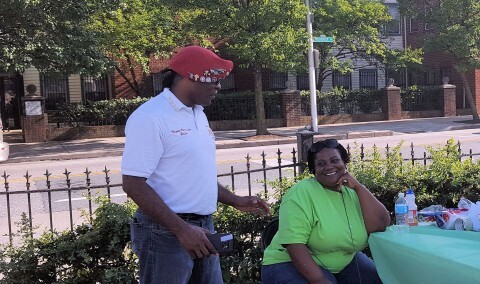 ​Baltimore Community Leaders (Left to Right) Pastor Norman Eaton, has held a many of the street corner prayer vigils to help spread awareness to homicide victims in the communities he serves. 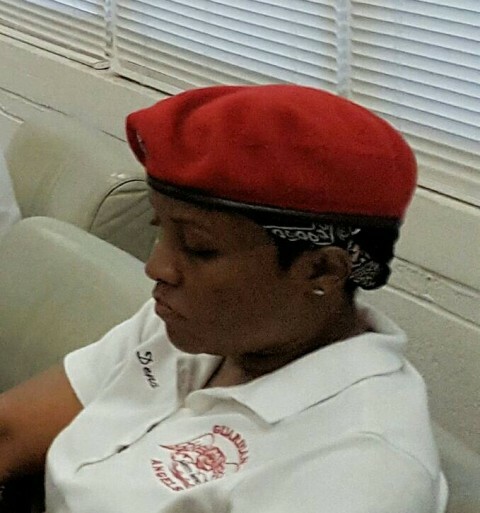 ​Paster Cleo Walker - has done so much for the city of Baltimore from everything to the Citizens Review board, Police Paster alliance, President of her association and also heads the Guardian Angel Community Block watch program. truly one of the most influential members of the community. 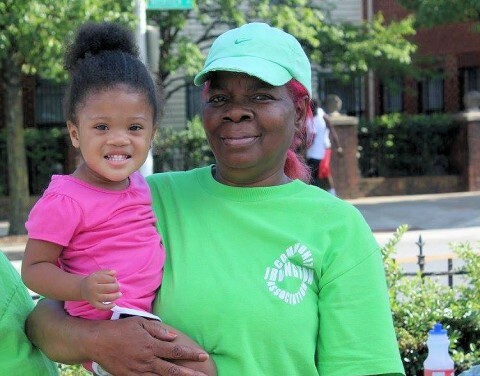 ​Diane Ingram & Pat Wills of the Brooklyn community have fought prostitution and crime within their neighborhoods. 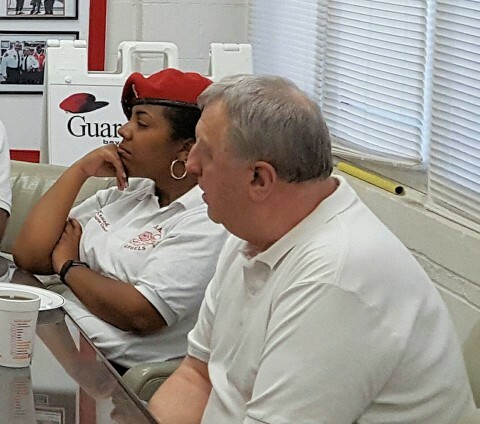 ​Assistant Regional director Krush Kent sits with Baltimore City Council Vice President Ed Reisinger who is a great support of the Guardian Angels and also participated in the first "Guardian Angel Community Block watch training program. 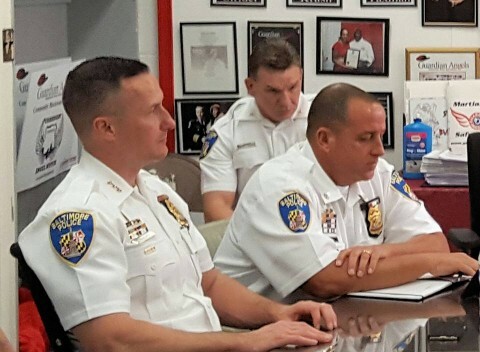 ​Baltimore City Police Commissioner Kevin Davis is always pushing the limit when it comes to community involvement and police relations. A great example of a law enforcement leader who is willing become a part of the community and partner to the people he serves. ​A top brass event with Top brass attention, also in attendence is Deputy Police Commissioner Dean Palmere who stays in constant communication with the Guardian Angels and helps drives whatever support we need. 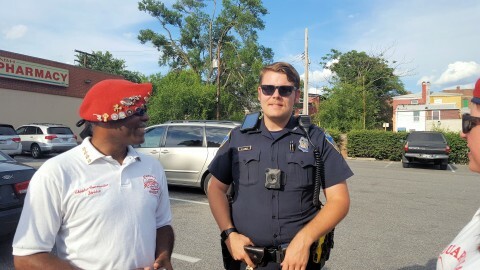 ​Major Steve Ward - new to the Southern District has already proven to be a hands on leader, he attends each community meeting personally, walks the street patrols himself and is involved in all the activities of the southern district and the residents. 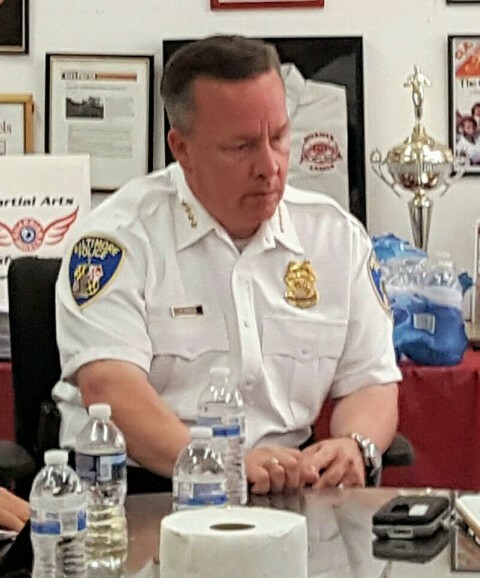 ​Chief Worley - oversees the districts and has also worked hand in hand with the Guardian Angels in the Bel-air - Edison ares. ​Retired after 20 years with the Baltimore Police Department and all time served in the Southern District ,now Guardian Angel Dena Roney is a very important part of this particular meeting because she not only served 20 yrs but she spent 14 yrs working with neighborhood services so Dena is the perfect bridge in understanding the police and Angel side of the mission. Collectively​ with the Angels, the Police and the amazing community leaders you can't doubt the dedication to make Baltimore city a better place. Stay tuned.